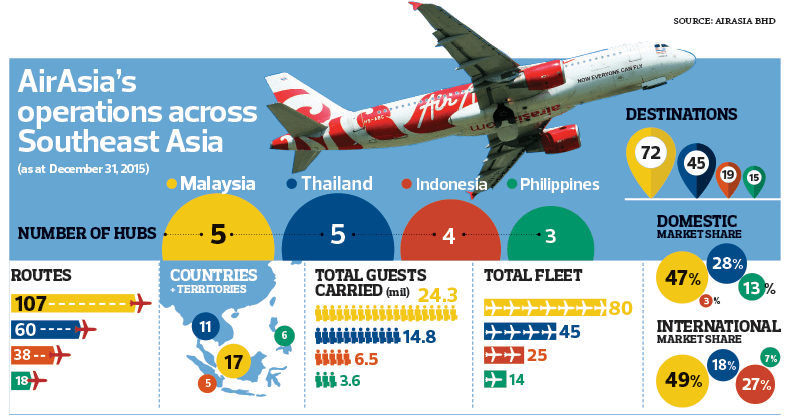 AirAsia’s operations across Southeast Asia (as at December 31, 2015). 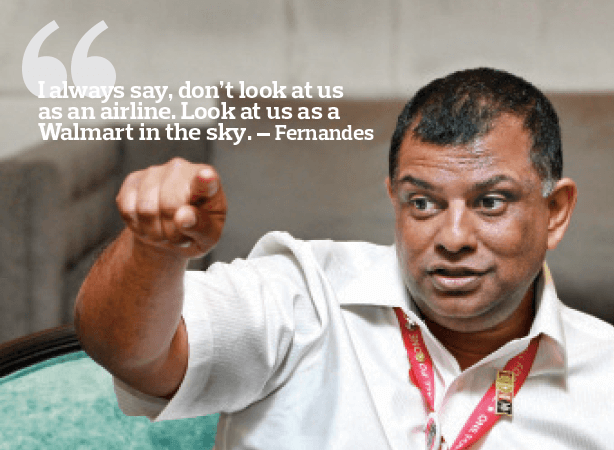 KUALA LUMPUR (Sept 10): AirAsia Bhd group chief executive officer Tan Sri Tony Fernandes said ancillary income had been a major profitablity contributor as the budget airline eyed new aviation markets. The Edge Malaysia business and investment weekly (Edge Weekly), in its latest September 12-18 issue, quoted Fernandes as saying AirAsia could be seen as a "supermarket" via its inflight merchandising. "I always say, don’t look at us as an airline. Look at us as a Walmart in the sky. Ancillary income has been our biggest driver. We are a supermarket and we make good money by getting people turning up at our supermarket. 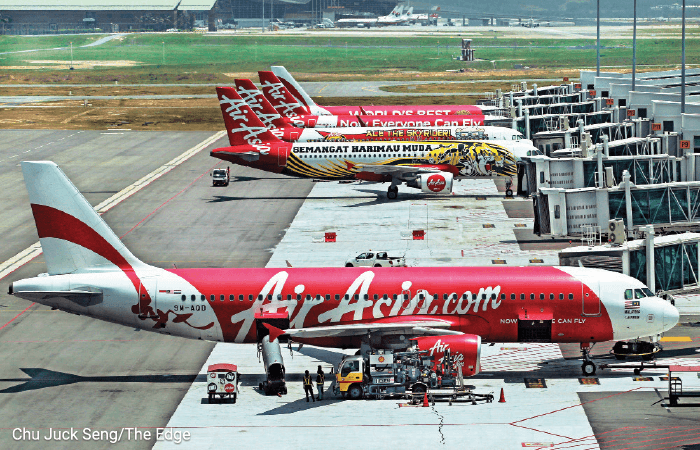 "But for AirAsia, you are paying to enter our supermarket and we earn good margins from that. And we sell them other things and your margin goes up. Probably about 50% of our income comes from the ancillaries. Revenue-wise, probably about 23% to 24%," he said. AirAsia plans to expand into new Asian aviation markets as the airline's branding evolves from an Association of Southeast Asian Nations (Asean)-centric strategy to a more Asian-based one. Fernandes said AirAsia, which already had operations in Malaysia, Indonesia, Thailand, the Philippines, was eyeing another Asean country and China. “In the next five years, I see ourselves progressing from an Asean brand to an Asian brand. I see Kuala Lumpur becoming a hub. I see ourselves flying to many LCCTs. I see Indonesia and the Philippines contributing to the group as much as Thailand. “I see (AirAsia expanding to) maybe one more Asean country and I dream about an AirAsia China. I see a very technologically advanced airline, selling a lot of ancillary. I hope we are still a great company to work for, attracting great talent and evolving into an Asian brand and making the region a smaller place,” he said. At Bursa Malaysia yesterday, AirAsia shares fell four sen or 1.4% to close at RM2.90 for a market value of RM8.07 billion. The stock had risen 125% this year, outperforming the FBM KLCI's 0.36% decline. For a better understanding on AirAsia under Fernandes' stewardship, kindly pick up and read the latest Edge Weekly issue.